Twin Cities Scoliosis & Bracing Center (TCSBC) is a branch of Bloomington Wellness Center offering specialized services for those dealing with scoliosis. We are the only regional provider of the SpineCor® flexible scoliosis brace, which offers adolescent or adult scoliosis patients an excellent alternative to surgery and traditional rigid braces. While wearing the SpineCor® Flexible brace, patients can expect to enjoy a complete range of motion without restriction. Many people find their muscle atrophy stops and their muscle tone and spinal curve improves in a corrected posture. The SpineCor® flexible brace eliminates pain and halts the advancement of scoliosis symptoms with an 89% success rate. Most insurance companies will cover the SpineCor® brace as an out-of-network service. The SpineCor® brace is typically used for children ages 5 to 18, and is most commonly for adolescents ages 10-16. The SpineCor brace was developed for the treatment of adolescent idiopathic scoliosis (AIS), and has been demonstrated to be effective in treating Cobb angles between 15 to 50 degrees in all classifications of adolescent idiopathic scoliosis. Use of the SpineCor brace on other types of scoliosis has not been evaluated extensively but there are numerous potential applications in children and adults with non-AIS scoliosis. The initial focus of SpineCor bracing was to halt progression of adolescent scoliosis utilizing a flexible bracing system. The brace and protocols have now been adapted to for adult scoliosis patients aiding them in pain relief, support, and cessation of adult curve progression. The SpineCor® brace is most effective when bracing starts before the first growth spurt, at a Risser Sign of 0. However, the SpineCor® brace has also been shown to be effective in more advanced stages of growth, during Risser Signs 1-3 as well. Because patient compliance is an important element in successful treatment, we will also assess bracing candidates to ensure they are ready to accept the brace and commit to wearing it. Because the SpineCor brace is, at this time, the most comfortable, wearable, efficient and successful brace available, patients demonstrate a higher rate of compliance than with hard braces. Please contact us with questions. SpineCor is a new and innovative approach to spinal treatment in adults. It provides postural rehabilitation and spinal offloading to relieve pain. Scoliosis in adults is typically the result of either childhood scoliosis which has progressed in adulthood, or from the degenerative processes of aging. Scoliosis of any classification (lumbar, thoracic, thoracolumbar, etc) can result in chronic pain, leg discomfort, digestive, and lung complications. Adults with scoliosis can be successfully treated with the SpineCor® Dynamic Scoliosis Brace. In adults, bracing cannot correct the scoliosis, so the goal is to support the spine and alleviate pain. The SpineCor® Pain Relief Back Brace is a neuro-muscular-skeletal rehabilitation tool for treating abnormal spinal loading and abnormal posture; it is not a simple back support brace. Most adults with chronic scoliosis pain seek chiropractic care or physical therapy, and respond well to treatments. However, without continuing treatment, pain will return. Bracing offers a long-term solution to chronic pain. Typically adults will wear the brace initially about 18 hours per day. As the spine strengthens the brace is worn less. Eventually the brace is worn only as needed, during activities when the person feels they need more support. Elastic corrective bands act to hold the body in the correct position. Constant switching between correction and relaxation acts as a corrective postural exercise to build strength. Dynamic spinal offloading and neuromuscular rehabilitation promotes neuromuscular integration. The smaller the curve the better the prognosis. The “lets wait and see what happens” attitude is not recommended – scoliosis requires immediate and regular attention. During growth spurts, curves can progress rapidly making parents wish they had braced their child earlier. It is easier to change the direction of a curve that is still growing than one that has stopped growing. The SpineCor® brace is designed to allow for total freedom of movement. This is especially important for children: movement allows for proprioceptive input to the brain ( the input from nerves in your joints telling the brain where a part of your body is at any given time). The SpineCor® brace also allows for the strengthening of muscles through normal activity, rather than a weakening or atrophy of muscles due to lack of movement. We encourage children fitted with the SpineCor® brace to participate in all activities while wearing the brace under clothing. And because it is virtually undetectable, children are more prone to wear it as directed. This increases compliance and results in greater changes. The goal of bracing is to keep a scoliosis curve from progressing. If the curve is more than 25 degrees and you still have a lot of growing to do, your scoliosis curvature could rapidly get worse. Because bracing is designed to halt the progression of the curve, it’s generally not recommended for treating scoliosis in young people who are skeletally mature or almost mature. Once skeletal growth has reached a certain point, or if the curve has become too severe (typically more than 40-50 degrees), bracing is generally not as effective. Dr. Emberland will help determine if bracing is the appropriate treatment for your child’s spinal curve. If so, we will then determine if the SpineCor® Brace is appropriate and the approximate length of time the brace should be worn based on clinical findings. SpineCor® bracing is a process of gradual scoliosis correction. It takes time to complete the program, but results in a permanent, stable correction of scoliosis. The following content describe the bracing process and scoliosis specific service elements offered at TCSC. In order to be effective, the SpineCor® brace must be worn 20 hours per day—less time than required by a traditional hard brace. Patients get two two-hour breaks each day, one in the morning and one in the evening. Bracing duration is determined by a patient’s skeletal maturity. The minimum time period for bracing is 18 months, but the average patients spend about 24 months in the brace. The bracing process at TCSC typically flows first with a consultation visit, followed by an examination visit and finally with the bracing appointment. Often the appointments are spaced about a week apart but for our out of town clients a single ‘all-in-one’ appointment can be done by request. See below for details about each type of scoliosis specific appointment offered. Questions abound after the initial diagnosis of scoliosis. It is a common scenario for parents to be informed of their child’s scoliosis and within days or weeks inundated with opinions from multiple doctors, well-meaning friends and acquaintances, with a heaping helping of internet information piled on top. Dr. Emberland is a trusted source of objective counsel in these situations. An initial consultation may also be a time for those who are looking for scoliosis specific chiropractic intervention or investigating the SpineCor brace. During a consultation visit we can also determine if the client does indeed qualify for bracing, and should then move forward with a complete examination visit. Brief review of previously taken x-rays, clinical information and cursory exam or x-rays may be performed at this visit as well if needed to help in determining if the client qualifies for SpineCor bracing. Also during this visit treatment or brace fees and insurance coverage may be discussed. If you are an adult with a scoliosis or have a child dealing with a scoliosis, a consultation at Twin Cities Scoliosis & Bracing Center is the ideal place to start. Schedule by calling 952.881.2800 or click here to schedule online. Personal and familial data will be collected and a general physical examination will be conducted. During this exam we will assess the shifts, rotations, contours and measurements of a patients’ posture using a visual, laser, and scoliometer inspection. We look for postural deformities that will assist in our classification of the scoliosis. Photographs will be taken for documentation and tracking purposes. We typically take 2 to 4 x-ray views during this exam, including a front-to-back standing X-ray of the full spine and a standing side view of the entire spine. These give us exacting detail of the spinal curves. Typically films taken at a different facility will not be accepted for brace classification. They may be valid for tracking and comparison but due to the exacting nature of the films taken specifically for the SpineCor brace Twin Cities Scoliosis & Bracing Center requires new films be taken at this visit. X-rays are a major factor in determining and tracking growth in adolescents. Once all of the exams are completed and information gathered, Dr. Emberland will discuss brace options with the clients and answer any further questions before proceeding to the bracing appointment, typically a week later. There may be circumstances where different styles of the SpineCor brace may be an option, which will be discussed at this time. Since each brace is custom designed for each patient, payment must be secured or financing arranged at the close of this visit so the bace can be ordered. After the extensive collection of data on this visit Dr. Emberland will analyze the information and input it into the SpineCor software aiding him in determining scoliosis type and bracing details for your specific type of scoliosis. At the beginning of this visit we will first introduce the patient to their brace and show them all of its components. We will then discuss the specific scoliosis category they have been diagnosed with and the corresponding corrective movement for that scoliosis type. This corrective movement is the foundation to the effectiveness of SpineCor bracing. The patient will be instructed in the corrective movement, which the patient will perform to correct their scoliosis. The patient must perform their corrective movement each time they put the brace on. After teaching the corrective movement, we will begin fitting the brace. The first component of the brace to be fit is the pelvic shorts or base. We will apply it to the patient and have them move around in it to ensure correct and easy movement. The second component we place is the Bolero, which is kept in place with comfort bands. Lastly, we will place the corrective bands. We will have the patient perform their corrective movement and then we will place a series of 4 bands to hold the patient in their corrective movement. Once the brace is fitted, we will perform the clinical, postural and x-ray evaluations that were performed on the examination visit. This will show us if there has been any reduction in the patient’s postural and scoliometric measurements, which we will track throughout the entire bracing period. Once the fitting is complete and exams are done, we will have the patient take the brace off and practice reapplying. When all questions are answered and patient is comfortable applying the brace, she will be sent home with wearing instructions and return for a follow-up evaluation in a month. The bracing visit can be long and challenging. It is also the time when the patient first discovers the commitment they made to bracing. Not unlike orthodontic braces, there may be some excitement going into the process, but that quickly fades when a realization is made that it is going to be this way for a long time. Considering this we encourage you to have a first of many ‘brace parties’ following this brace fitting appointment. Parents may need to be creative but it is an important role to play, encouraging and supporting the child through this process. Twin Cities Scoliosis & Bracing Center is the only SpineCor certified facility in MN. Additionally no other providers are available in the surrounding states of SD, ND, and IA. Some WI residents are nearer to our facility in MN, than providers can be found in their home state and thus choose to visit TCSC for proximity reasons. Considering this we have done our best to accommodate the needs of those traveling from outside the Twin Cities area. An “All-in-One Visit” can be offered to those who request it. This is only recommended for children who are mature and patient. Certain elements of examination data will need to be collected via phone or email prior to this visit so that the proper components for the brace can be ordered in advance of arrival. This visit would then entail a consultation, examination, x-rays and brace fitting ‘all-in-one’ visit in our office to minimize travel. We have offered this service to numerous clients over the years, and would be happy to accommodate you if this is your need. TCSC has served clients for SpineCor bracing from across 8 states, and though the ‘all-in-one’ visit is more challenging it does make lengthy travel more efficient. Please contact our office if you would like more information about this service. Follow up visits allow us to perform postural and clinical exams in and out of the brace and assess improvements in posture and curve angle. We expect to see stabilization of severe scoliosis and even some correction of moderate scoliosis. Bracing is a slow process with incremental improvements, but after the bracing period, results are permanent. After initial bracing the follow-up sequence is typically 1 month post bracing, 3 months post bracing and quarterly thereafter for the ensuing 18-24 months. Each follow-up visit will entail clinical examination and in-brace x-rays. Brace wearing, fit, and components will be checked, corrected, or replaced at this visit. Straps are typically replaced every 6 months and pelvic base or shorts and bolero every 12-18 months. Advice and support are regular components of follow-up visits in effort to increase compliance and thus bracing success. Lifestyle advice and exercise instruction* will also be addressed as needed in the early stages of treatment. Much like the initial brace fitting visit, it is also recommended that these ‘brace check-up’ visits be a celebrated milestone for children. Kids who are required to brace should be acknowledged and encouraged, a special trip to the Mall of America or favorite meal made in recognition for their accomplishment should always be remembered. During one of the first follow-up visits the SpineCor exercise program will be introduced. It is designed to complement the action of the brace and reinforce the treatment. It improves the body’s acceptance of the correction from the brace, and helps the correction to become permanent. Precise exercises are designed for each type of scoliosis curve, according to the specific spine deformation and postural disorganization of the patient. Patients treated with the SpineCor brace must only perform the exercises designed for their type of scoliosis curve to avoid interfering with the action of the brace. Dr. Emberland is one of only a small number of practitioners trained and authorized as a SpineCor Physiotherapist. He is trained to design exercise regimens that complement each patient’s specific bracing program. Chiropractic care can be a wonderful complement to SpineCor bracing, and some who do not qualify for SpineCor bracing for one reason or another may benefit greatly from receiving appropriate chiropractic care addressing spinal curvatures. 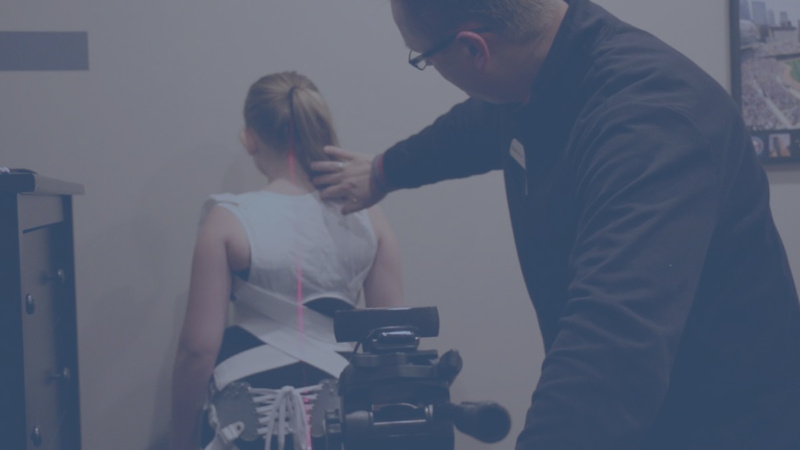 While there is no recommended course of chiropractic therapy designed by SpineCor to work with the brace, our doctors are knowledgable and experienced and can provide highly valuable care to the client with scoliosis, both child and adult. 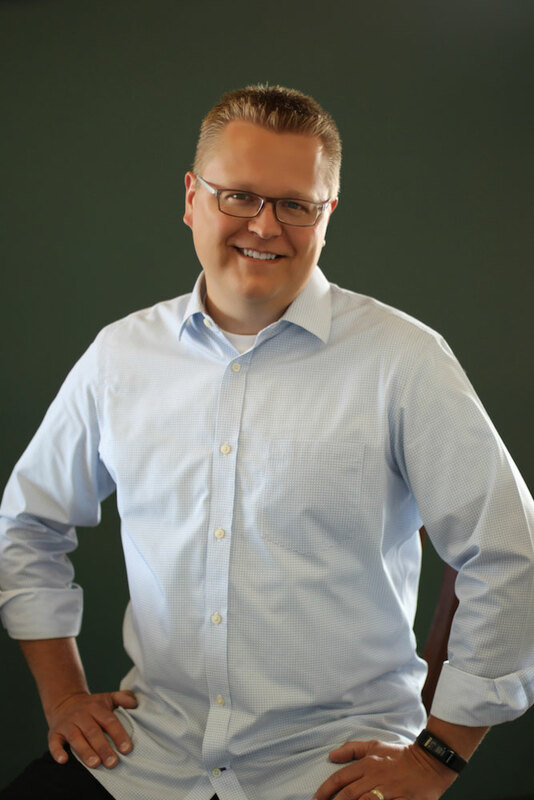 In addition to providing direct scoliosis specific chiropractic care to both braced and non-braced clients Dr. Emberland has also consulted with numerous chiropractors’, helping them to devise treatment approaches specific to the patient needs, but distance makes treatment in our Bloomington office difficult. Please contact our office or send us a message to learn more or if you have questions. (**Direct in-network insurance billing for scoliosis specific chiropractic care may be available through TCSC’s parent company BWC or BFC. SpineCor scoliosis specific services and supplies are not billable through the in-network status of BWC/BFC). Scoliosis (/ˌskɒlɪˈoʊsɪs/; from Ancient Greek: σκολίωσιςskoliosis “obliquity, bending”) is a medical condition in which a person’s spinal axis has a three-dimensional deviation. Although it is a complex three-dimensional deformity, on an X-ray, viewed from the rear, the spine of an individual with scoliosis can resemble an “S” or a “?”, rather than a straight line. The cause of scoliosis is a continuing debate, but it appears that adolescent idiopathic scoliosis (AIS) has a genetic origin. Researchers in recent years are silencing the debate with genetic markers proving the source of this common spinal condition. See research abstract here or article of clarification here. Scoliosis can range from extremely mild to severe, having detrimental effects on the body. The scoliosis can affect the balance of body posture and spinal alignment. A loss of normal spinal balance creates abnormal loading on the vertebra, discs, ligaments, joints, tendons, muscles, and nerves. In the short term, abnormal loads on the body tissues alter their functions. Over the long term, the structure of body tissues will change in response to the abnormal loading, further compromising function. These changes can damage the body causing facet joint arthritis, disc degeneration, nerve root irritation, and spinal stenosis, all of which lead to pain. Promoting a change in the balance of the posture and the spine can help to correct the abnormal loading, this is the purpose of the SpineCor Bracing System. Managing scoliosis conditons can be complicated, but we are here to help. Please contact Twin Cities Scoliosis & Bracing Center today to learn how we can help you or you child with scoliosis. We look forward to working with you!